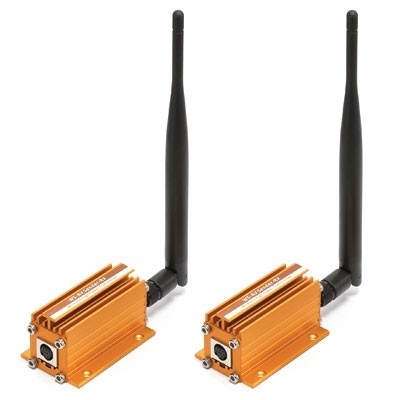 This product line adopts wireless radio frequency technology to transmit audio and video signals. 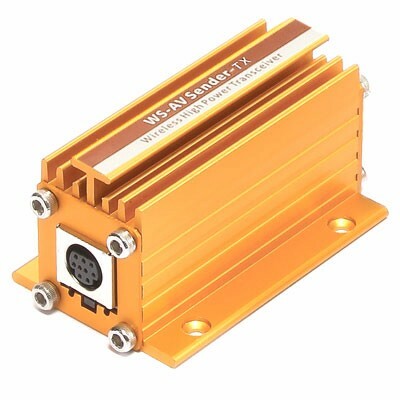 The signal is pure digital and has strong anti-interference capability. It uses digital encryption technology so the security is extremely high. It can transmit high quality audio and video signals wirelessly from any player with AV output, such as CATV box, DVD, VCD, DVR, security monitoring system, personal computer, digital TV set top box, multimedia game console, multimedia set top box, ...., etc. ; therefore, it is easy to achieve high-quality, wireless, digital, video and audio environment. The transmission distance of this product line is ultra-long. The straight open distance can reach up to 500 m. It adopts wireless frequency hopping technology so it can minimize interference from the surrounding environment factors to ensure the quality and speed of the audio and video transmission. The image and sound signal is live, without distortion, high quality, clear and natural. The fastest transmission speed can reach up to 25 (720x480) images per second. The 2.4GHz working frequency does not interfere with today´s phones or wireless internet routers, making it an ideal solution for homes and industrial applications. Digital technology provides encrypted data to reach safe and reliable transmission. Images received through radio wave are vivid, sharper and stable, the color is flamboyant, and not to mention that sound is clear. Fully hardware is designed with modern metallic look. The installation and operation are simple and convenient. Plug and play, there is no software is required for installation. Long range transmission, up to 500 meters in line of sight.